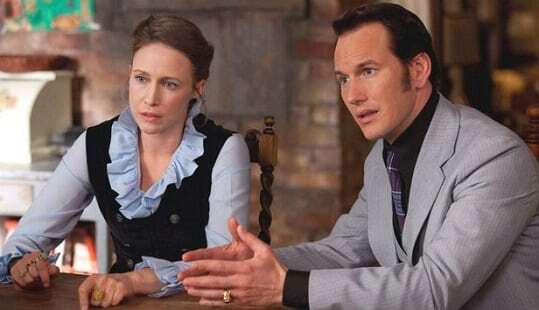 The Conjuring Universe has made it clear by now that the Warrens, played by Patrick Wilson and Vera Farmiga, only star in the main films and not the spinoffs, but it’s looking like the third Annabelle film will be changing this. ‘Deadline’ have broke the news that both Patrick Wilson and Vera Farmiga will be in Annabelle 3. The site notes that the duo will appear in a “supporting capacity” in the film, which centers on Ed and Lorraine’s daughter, played by Mckenna Grace. And producer James Wan has said that: “It’s basically Night at the Museum with Annabelle!” added Wan at the time – which sounds good to me! Gary Dauberman writes and directs. Madison Iseman also stars. Annabelle 3 is in cinemas on July 3, 2019. Prepare yourself, get set to be terrified! The trailer for Ridley Scott’s ‘Prometheus’ has arrived!